For those of you who didn't get a chance to experience the reenactments and celebrations of the 200 yr old event called the War of 1812, take heart because it didn't actually end until the signing of The Treaty of Ghent on December 24th, 1814. Which means there are more events coming up. One of those events will be commemorated on June 22, 2013 with the opening of the Laura Secord Legacy Trail at Niagara-on-the-Lake, but here I am getting ahead of myself. Laura was born on September 13th, 1775 in Great Barrington, Mass, the eldest daughter of Thomas Ingersoll who had attained the rank of Major in the American Revolutionary War. Reputedly, Thomas received a personal invitation to settle in Upper Canada from an old friend, Governor Simcoe, who had once resided in the United States. Thomas accepted and emigrated with his large family to Upper Canada where Governor Simcoe granted him 66,000 acres of land and named him justice of the peace of Oxford County. 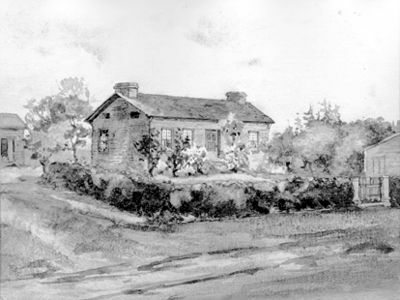 Thomas Ingersoll then moved to Queenston where he built and ran a tavern where locals could find refreshment. 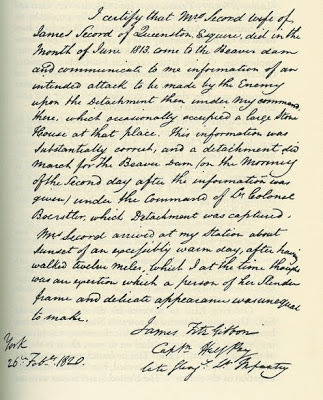 It seemed a young Loyalist's son by the name of James Secord began to spend a lot of his time at the tavern which worried his family until they relized it wasn't the liquor James went to spend time with, but the travern keeper's daughter. In 1797, barely 2 years after arriving in Upper Canada, Laura married James Secord and settled down in Queenston as a merchant's wife. By the time the War of 1812 began, Laura and James had 5 children ranging in age from 2 to 10. And when war begins, husbands leave their loved ones and go fight for their families, their freedom, and their beliefs. And herein lies another story because in Oct 1812, James was wounded in battle and word came back to Laura. She left her small children with family, headed to the battlefield, and brought her wounded husband home. He'd been shot in the shoulder, but it was the musket ball lodged in his hip which kept him bed-ridden for life. "Laura searches the bloody battlefield for her husband." When the Americans invaded Queenston in May 1813, any male over the age of 18 was marched back to the States as a prisoner-of-war, but mercifully, disabled James was left behind. The Secord farmhouse, however, was taken over as a billet for 3 American soldies and Laura took on the additional task of serving them. One night in June, Laura overheard the soldiers planning an attack on Lieutenant James FitzGibbon at Beaver Dams, some 12 miles away. 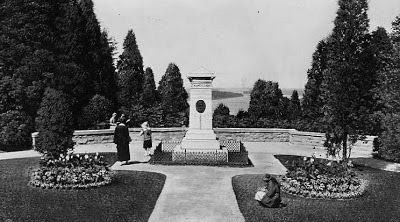 At this stage of the war, the Americans had control of most of the Niagara Peninsula and FitzGibbon was bravely hanging onto his sparse British outpost. Someone had to warn the British of the impending attack and with James unable to do it, Laura resolved to try. The next morning, she tucked her kids in bed with James, snuck past the pickets guarding their farmhouse, and began her trek. By road, the trip was 12 miles, but fearing military patrols, Laura struck off cross country where wild cats, bears, and quicksand threatened her mission. After 2 days of walking over 20 miles, Laura found FitzGibbon and relayed her message. With the help of their Mohawk warrior allies, FitzGibbon and his 50-man contingent won the Battle of Beaver Dams and held their post against the invading Americans. And so Laura Secord became a heroine, right? Well, not right away. 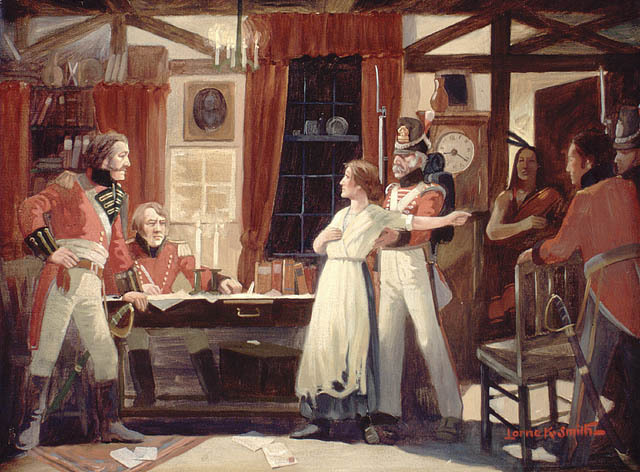 Lt. FitzGibbon's official report was quickly dispatched to his superiors without a mention of Laura Secord. Laura returned to James and bore him 2 more children. 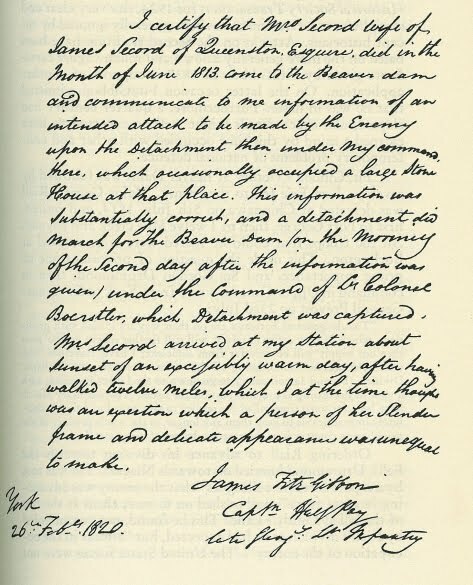 James received a small pension because of his war injuries, yet the Secords lived in poverty until James was appointed registrar, then judge (in 1833), of the Niagara Surrogate Court, and finally became collector of customs at Port Chippawa. When Laura Secord was 85, the Prince of Wales (the future Edward VII) made his 1860 visit to Canada. In the words of www.uppercanadahistory.ca, "Laura Secord went to the office of the clerk of the peace at Niagara a month before the prince's arrival, where she insisted on signing the address over the objections of the clerk. She was supported by a local newspaper that heralded her heroics saying she had done more for her country than half the soldiers and militiamen engaged in it. She supplemented the address to the Prince with her own account and that of her husband in the patriotic service of their country. Prince Edward learned of Laura's twenty mile walk from the petition describing her war-time service. Of all who presented an address to the Prince, her name was the only woman's among the veterans of War of 1812. On his return to England, Prince Edward sent Laura 100 pounds in gold, the only financial reward she ever received for her service." Accepted as a heroine - finally - by the future king of England, public recognition grew quickly. But as the legend of her escapade grew, people embellished it for amusement and almost destroyed the reputation she'd fought so hard to attain. 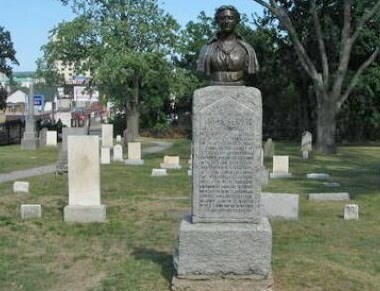 Over the years, Laura Secord has been recognized as a heroine in several ways, the first which is the bronze bust of a young Laura which was added to her gravestone (above) in 1901. In 1992, Canada Post issued a series of 4 stamps commemorating Canadian heroes. 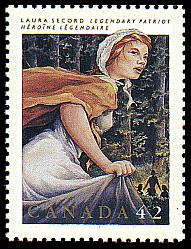 One of those postage stamps depics Laura Secord running through the woods to warn the British. The caption reads, Legendary Patriot in both english and french. 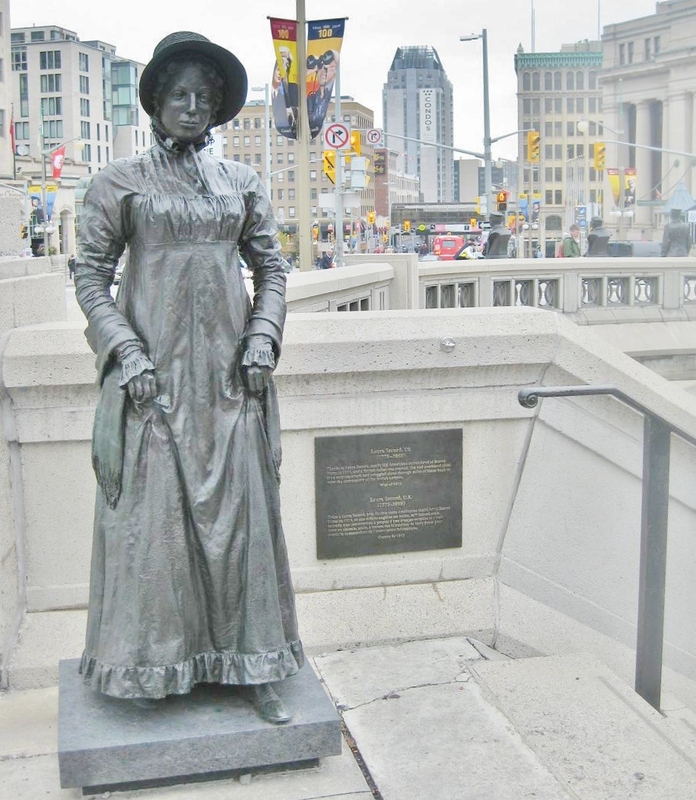 Several monuments have been created in Laura Secord's honour including the Laura Secord monument right in her home town of Queenston, Ontario. What? The image on the 1927 postcard shows the Niagara River in the background, but the current website image for Niagara Parks shows the river right there. Can the slight difference in camera angle make that much of a difference? The Niagara Parks image is promoting the spot as perfect for weddings. They couldn't do if the location shot wasn't real. So, I went back to searching Google and found this treasure which shows the land meeting the river just off to the right. A second monument was created by sculptor, Marlene Hilton Moore. It stands 12 feet tall at the Valiants Memorial in Ottawa. 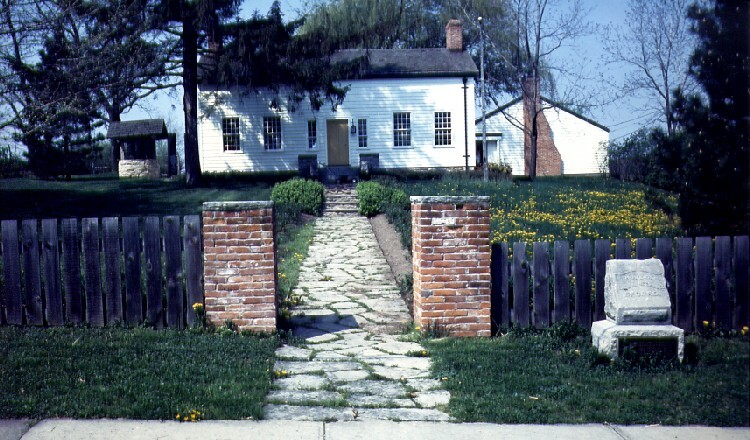 The farmhouse where James and Laura were forced to live and care for the billeted American soldiers (shown above) is now the Laura Secord Homestead museum. And finally, in 1913, a chocolatier named Frank P. O’Connor opened a small candy store in Toronto. He named his store, Laura Secord because he wanted his customers to think of courage, devotion, and loyalty when they saw his products. 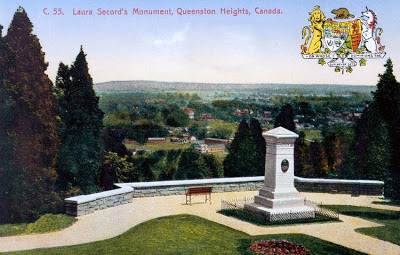 I've just realized this post is long enough already, and I've only now reached the point where I want to mention The Laura Secord Legacy Trail. But I don't want to tuck a brief note about it at the end of a long post, either. Especially when the planned event is 7 months hence. So, I will schedule another post for that topic and any other Laura Secord commemorative events scheduled for next summer. Are you wondering what the citizens of Great Barrington, Mass think of Laura Secord? Tell me what you think and I'll tell you what some of them have said. Now you're talking my language!!! I spent a weekend along the northern Niagara Peninsula last summer. I would say that of the faces found on banners throughout the region, Laura Secord is very commonly included. I had intended to return for the reenactment of the Queenston Heights battle in October but I didn't get there. I'll be back to the area next summer and this time, instead of driving by, I will stop in Laura's homestead. At one of the reenactments, the uniformed officer who was giving the play-by-play mentioned Laura and made the audience laugh by saying she had not only delivered the message of the pending attack but delivered some chocolates as well. So I guess it's a bit of a joke that she has become more famous for the candy than the amazing task she accomplished. The views of the Niagara river are incredibly beautiful from the monument area. I'd have to look at the details, but the Sir Isaac Brock monument isn't far, either. What surprises me the most about this story, is how the Ingersolls got so much land in Canada just because Simcoe was a friend. Simcoe was involved in some ways during the War of 1812 also and now I want to go check it out. Thanks Anita. I am deep into May of 1813 myself right now! 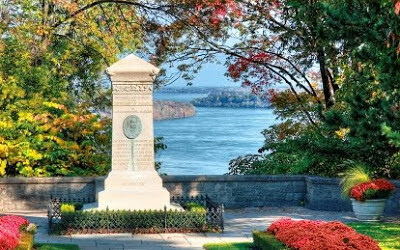 (and looking forward to two more years of events along the Niagara and St.Lawrence battlefront.) Next tuesday I'm going to talk about my day sail into the war of 1812 history. Interesting hearing history from the other side. Great timing, Debra! Your comment is perfect to start off his round, especially with your description of the Niagara Escarpment which I failed to mention. When hubby and I toured the Falls, we only had a weekend and never went east of them, preferring to do the tourist things like the cable car, Maid of the Mist, wax museum, etc. But then, if I ever get to see Laura's places, I'd want to sit, gaze and take numerous pics, etc. Hubby would look and go, 'Take a photo, muffin, and get back in the car, there's lots to see'. Right. I hope your plans next summer allow you to be in Queenston for the Legacy Trail opening. Dina, I tried to write the post without accusation or condemnation. However, the fact remains that at that time, the Americans did invade Canada and there's no way to rephrase that. I'll probably get everyone up in arms about this, but when describing how the Americans took over the Canadian homes and farms and forced the Canadians into servitude, one text said they thought that's why the Americans fought the British in the first place. And having won their freedom, the Americans then impressed the Canadians in the same fashion as that which they'd fought against. Thankfully for all, the Canadians and Americans both had some major losers in charge of the armies. In the American's defense - small though it may be - The argument was with Britain. There were those in the US that thought Canadians would want to be free of the monarchy as well. Much of New England was against it the fight all along. Those most in favor were politicians along the western frontier who wanted the British to stop arming the Native Americans. The War of 1812 was probably the craziest mix up of people. There were 'regular's (enlisted men that were form the US, Canada, and the regulars (enlisted men who served the British Army. Then there was the British Navy, the Provincial Marine, The US Navy as tiny as it was, plus Privateers that were taken over on both sides. Add in militia (un enlisted volunteers) on both sides and Native American/ First Nations people on both sides. And in each country you had many who were very opposed to the war because they feared the economic impact of fighting with an overall friendly neighbor!. Yes, the US attacked/invaded first. But I'm glad that when all was said and done, nothing changed except for loss of life. Borders remained the same and Canada became much more nationalistic, Don't you agree about that, Anita Mae? My current hero is right now today is forced to see where his priorities lie. 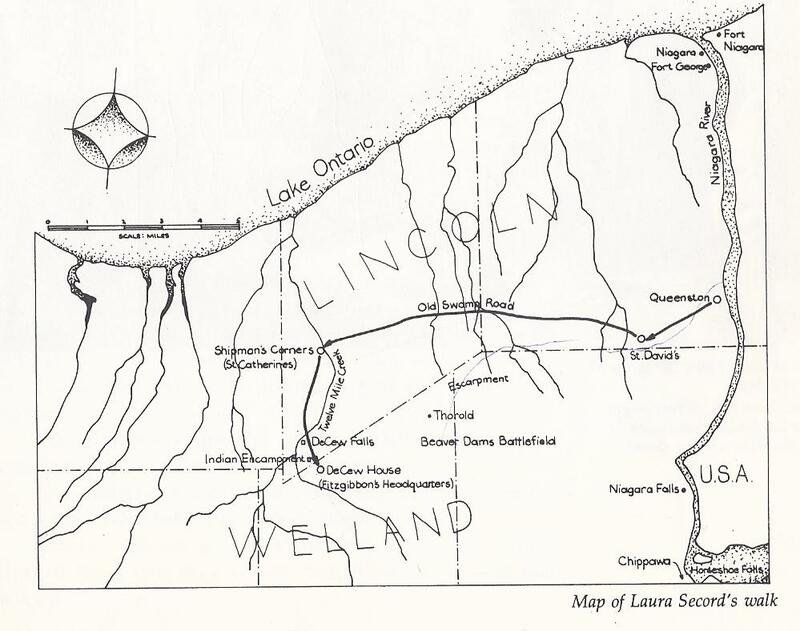 In the area of the Niagara River and St. Lawrence River, trade and family ties made the lines a bit blurry for many. Especially when many of the Canadians had once been Americans whose families left during the Revolutionary War. At Fort Niagara, June 1812, the American officers were entertaining their British counterparts from across the river (Ft. George) when they received word the two nations were at war. They calmly finished dinner, bid their farewells and the next day woke up to try to face them as enemies. 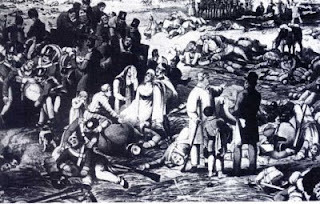 The burning of Washington DC was retaliation for the burning of homes in York by the Americans. Fact is, many of the armies were from other states, not from NY and Pennsylvania. okay. I promise to stop obsessing. Interesting post! I've heard of Laura Secord but I never knew much about her. What a brave lady--she had fortitude, that's for sure. I love the pictures. Deb, I love what you said about the major losers in charge of the armies. That's definitely true of the Americans (I don't know enough about the Canadians) so it made me laugh. Ugh. You two are the experts and I bow to you! As for what the folks in Massachusetts think, I have no clue! Did they find her a traitor or an inspiration? No matter the politics, she was truly a woman with gumption. Oh yeah, Debra, I agree wholeheartedly. Actually, many of us thank America for it, because until that point, Canada was a piece of land held by a multitude of nationalities with no sense of ownership. Of belonging. We felt the English and French fighting for our land and we were like pawns waiting for the winner. We were here, but we could have been anywhere. The War of 1812 instilled national pride. We could do something, and we did! Our countrymen died or, like James Secord, were permanently damaged defending our right of ownership. But defend it we did, men and women. For the first time, we felt we deserved to call the new land HOME. How can I be angry at another nation for instilling something so precious as that? I happen to own a wonderful video series on the War of 1812 that I bought in Canada. It's really the best I've seen. I found this for you all if you want to look at some of the things going on next year that I might attend. 2013 is an important Jane Austen year -- and Canada is celebrating it with tie ins to the War of 1812 events. Susie needs to come out and visit! 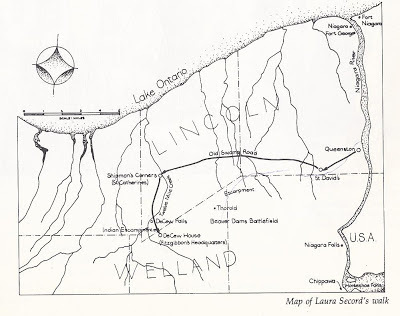 Debra, the Draper genealogy is heavily centred around York County and in particular, the area between York and Lake Simcoe. This is where Ethel lives, author of my blog's courtship letters. I'm fascinated by the number of Americans who first settled the area and broke the land. Nelson himself is a direct descendant of Joel Draper Sr, born in New York, and sibling to 5 others who brought their families and settled in North York between 1800-1810. That and the fact that the international border between us is the longest border without a military presence shows how close our two nations are intertwined regardless of what our ancestors attempted or how unique we think we are. Did they find her a traitor or an inspiration? No matter the politics, she was truly a woman with gumption. Susie, you're right on all 3 counts! I'll post about what the man who called her a traitor did to show his displeasure as well as the events leading up to it. Fascinating stuff. 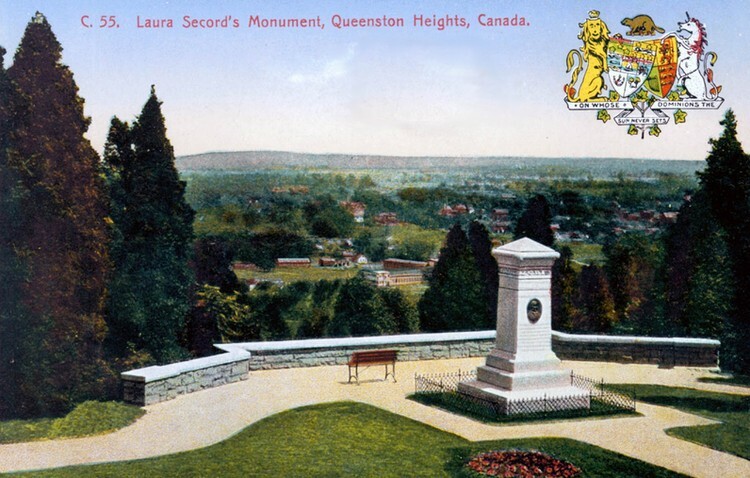 In spite of the fact that I'm Canadian, I didn't know anything about Laura Secord (other than the delicious chocolates) until I visited the monument in the Niagara Peninsula many years ago. Amazing woman! And I learned more about her today too! Thanks Anita! I have a the 1812 Niagara Region Bicentennial Map to send to Anita. There are so many fascinating stories inside it. Learned today that James Fenimore Cooper was a sailor aboard the US Oneida before the war, when it was patrolling the waters off Oswego in Lake Ontario. He went on to write a book about one of the sailors he met. Ned Myers. I'm looking forward to the what you tell us about Massachusett's and Laura Ingersoll Secord. I think that one of the most important things to come out of this discussion is that the borders were pretty fragile in an economy where folks traded and traveled and intermarried. A good portion of the folks in Ontario had gone north to begin with, as Anita proved with Nelson's story. Maybe because I grew up so close to the border, I I can understand that. Thanks Elaine! good to see you pop in. As an Ontarioian ... Ontarion ... umm... person born in Ontario... I learned about Laura Secord in our grade school Social Studies class. However, a few decades went by before I realized that she was actually from my Ontario. Yet I've only recently understood the courage it must've taken for Laura to make the trek as she did especially when she had to leave her young family behind. I wish she'd left a diary behind. So Elaine, are you saying the Sask schools didn't cover the War of 1812 much? Or just not Laura? i always love your history posts anita, i learn so much. i love hearing history from a differing point of view. and, the Americans DID invade Canada - so you can't fault a woman for doing her part to protect her fellow countrymen. i'd guess the Americans would've felt her a traitor. No matter what, Laura was still a brave woman. It's too bad she didn't get better recognition when she really needed it. I'd never heard of her, but then, my knowledge of the war of 1812 is fairly limited *sigh* personally, i don't think you need to be sheepish about your soapbox, Anita - your boldness in expressing your beliefs is one of the things I love about you. thanks for the post and introducing me to a historical person i should know about. Debra, we now have 2500 people in Nelson's family tree and I can attest that 1 out of every 100 of them have gone to live in the US. Some of those were Americans to begin with, but many were British who immigrated to Canada, stuck around for awhile, then moved on. One thing I found to be different between how we live now and what they did back then, was that when most Canadians died, the family sent the body back home to be buried in the graveyard of their hometown. It didn't seem to matter if the person died in Colorado or Michigan, or even in Alberta or Saskatchewan. The newspaper would report the death followed by the comment that the body was returning home. The exception to the above is California. For whatever reason, family members who died in California were buried in California. You have brought up one point I've been hoping someone would... I disagree that you - as an American - should know about Laura Secord, after all, if a Canadian did what she did, the T word would be flashing across my mind! However, there is one American woman who hated the British and she is a heroine of the same war. Yet, no one has mentioned her today. Can you guess who? Unfortunately I don't remember a lot of what I was taught in history -- I know we studied Canadian History two or three times (Grades 5, 8 and 12 if I'm not mistaken). However, it wasn't until I started travelling across Canada and seeing some of these historic sites that I wished history had been more alive to me as a student instead of something to study, get a good grade on a test and then forget! :) So, I'm sure the war of 1812 was in there somewhere but I don't remember hearing about Laura Secord. Now when I travel, I do like to look up the history of the area before the trip! Makes things come alive! I'm going to guess the American heroine is the one who has a bakery company named after her. And if I'm right, that's a bit ironic, huh? The Canadian heroine is now known for chocolate and the American heroine known for cakes. Me too, Elaine. One of the best books I've bought is The Canadian Book of the Road by Reader's Digest. It shows the best sightseeing routes and gives info on all the historical spots, both well-known and obscure. Good question, CJ. I guess I never explained that. According to the above book the fastest way to get in business was to open a tavern. Thomas's large family needed to be fed, and the 5 eldest, including Laura, were old enough to work in the tavern while Thomas developed his land grant. CJ, your guess about the American heroine... there very well could be one who developed a bakery, but that's not the one I'm thinking about. The only acclaim this heroine has received so far as I can find is being named, 'A Woman of Distinction in New York State'. Apparently, when the War of 1812 celebrations were announced, New York heritage officials seemed keen to build the profile of this heroine as a rival heroine to Laura Secord. I hope it that will be carried out. come to find out I have never heard of that woman before. " A woman of Distinction" in NY state who carried cannon balls at Fort Niagara? named Betsy Doyle? Seriously. Never heard of her. In all my reading over the last year or so and being that I only lived an hour and a half away from her stomping grounds, I'm very surprised. I might have heard the story when I went to Ft Niagara many many years ago but it didn't sink in at the time. New York has spent very little money on the War of 1812. I enjoyed reading this, Anita. If I ever learned about Laura Secord, I don't remember. I do remember her name associated with chocolates, though. That's pretty pathetic since I love women's history so much. I'm disappointed in myself. My only excuse is that even though they're practically my neighbor, we were never taught much Canadian history. A shame, really. I'm glad you shared this. Yes, Debra. Betsy Doyle deserves to be applauded for her courage, loyalty, and bravery no matter which side she fought for. She did remarkable things during and after the war - perhaps not if she was a male, but she was a female who stepped up to the plate in a man's game. Even though Betsy hated the British enough to throw a red-hot cannonball in my face just because of my nationality (at the time), I'd still like to do a post on her if no one else plans to do it during these 2 yrs of War of 1812 Observances. Thanks, Suzie, but don't beat yourself up because even Elaine, a Canadian, doesn't remember learning about Laura. Although our text books were mostly all printed in Toronto, when I moved to Manitoba in my junior high year, I realized the content was not the same. In Ontario I learned of daily life in Upper Canada, the War of 1812, the Revolutionary War, etc. In Manitoba, those were brief moments whereas the brunt of our social studies classes concentrated on the Hudson's Bay Company, fur trade and explorers, etc. I think it's like the war itself... out here in the west, the War of 1812 didn't have the same impact as the east, mainly because most of the population was in the east. The west coast has such a tremendous history on its own, it doesn't need to borrow heroes and heroines from the east. I finally found a memorial to Betsy Doyle. There is one plaque at Fort Niagara commemorating the remarkable contribution she made to the War of 1812. You're right, Anita. We do have a lot of history on our side of the continent. And I did learn more about Hudson and the explorers than I ever learned about The War of 1812. Eli Stone? That's the same guy? That was a cool show. I didn't get to see many episodes but I liked it.